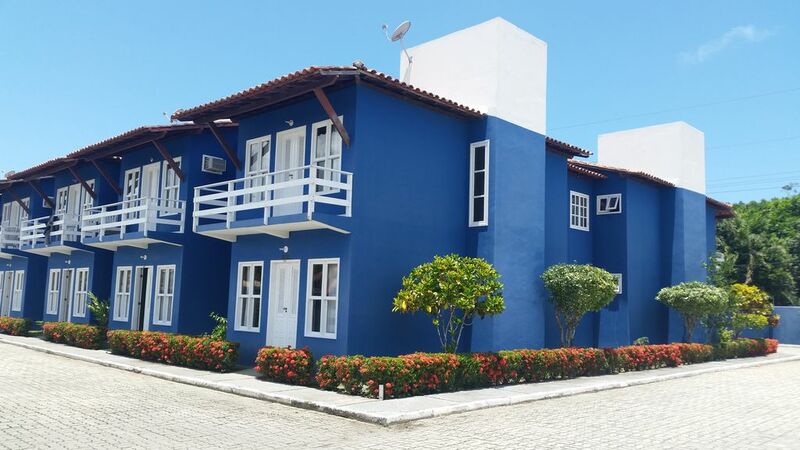 Two-storey apartment with three bedrooms, two suites, all rooms have wardrobes and televisions with satellite channels, a common access bathroom, balcony on the second floor with access through one of the bedrooms. One living room and dining area with a table and a sofa, kitchen with refrigerator, stove, cupboard, support for water gallon, coffee bottle, pots, glasses and cutlery, service area with iron. O valor da energia elétrica será calculado de acordo com os Kwh utilizados durante a estadia, obrigada.